Dr. Nader’s medical career began in 1977, when he graduated from the University of Health Sciences as a medical student. 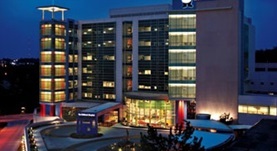 The Naval Regional Medical Center is where Dr. Daniel Nader completed both his residency and his fellowship. Dr. Nader has three board certifications, in critical care medicine, internal medicine and pulmonary disease, specializing in general pulmonary medicine, but with a particular interest in cancers of the lungs, mainly mesothelioma. 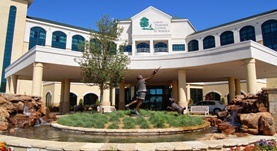 Dr. Daniel Nader currently holds the position of the director of the lung center at the Cancer Treatment Centers of America at Southwestern Regional Medical Center in Tulsa. Dr. Daniel Nader has contributed to 2 publications. The IBV Valve Trial: A Multicenter, Randomized, Double-Blind Trial of Endobronchial Therapy for Severe Emphysema. Wood DE, Nader DA, Springmeyer SC, Elstad MR, Coxson HO, Chan A, Rai NS, Mularski RA, Cooper CB, Wise RA, Jones PW, Mehta AC, Gonzalez X, Sterman DH; IBV Valve Trial Research Team. Endobronchial valve treatment for prolonged air leaks of the lung: a case series. Gillespie CT1, Sterman DH, Cerfolio RJ, Nader D, Mulligan MS, Mularski RA, Musani AI, Kucharczuk JC, Gonzalez HX, Springmeyer SC.